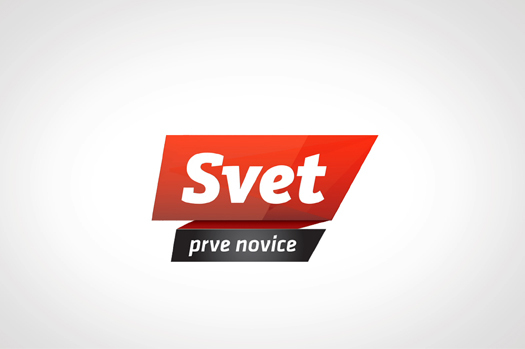 To design a new brand identity and graphic design of the programme "Svet na Kanalu A" (World at Kanal A). The identity should be applicative and in accordance with standards of contemporary graphic design, which should reflect the newly set values and culture of the programme, satisfying the standards of appearance on social networks. Banner with readable typographic solution is supported by a secondary graphic element of an endless belt, adding playfulness to strict typographic solution.